Blair, Mary (1911-1978) Started at Disney in 1940 as a color stylist and went on the 1941 Disney trip to Latin America with her husband, Lee. Many of her color concepts are obvious in Saludos Amigos and The Three Caballeros. 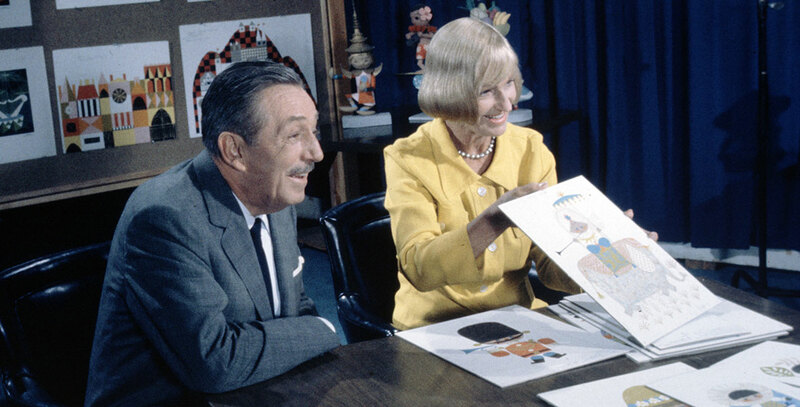 She later moved over to WED Enterprises, where she was instrumental in the design of “it’s a small world.” She designed two large tile murals for Tomorrowland in Disneyland and another for the Contemporary Resort at Walt Disney World. She was named a Disney Legend posthumously in 1991.